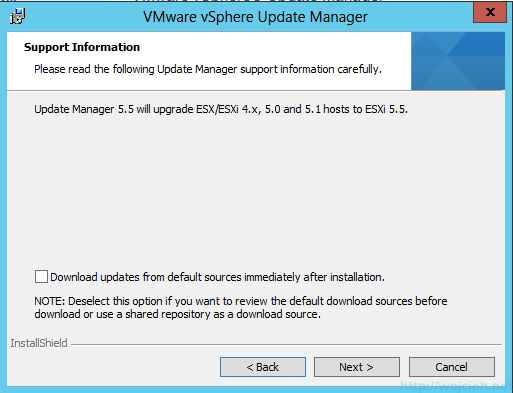 Once we successfully installed vCenter Server 5.5 it is time to enhance its functionality by installing VMware vSphere Update Manager. 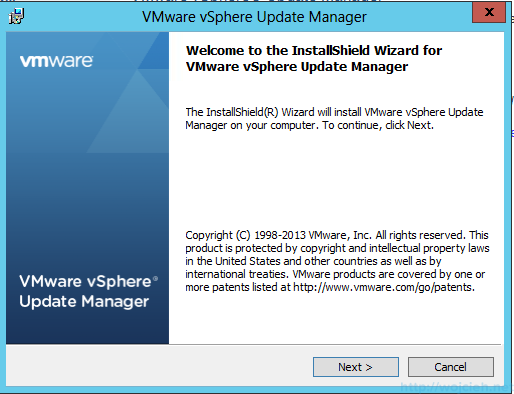 In short words, Update Manager is used to automating patching of VMware hosts. 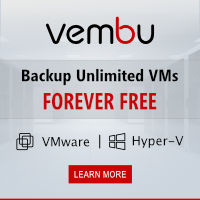 It is really simple yet powerful tool – it allows you easily update your whole infrastructure with zero downtime (if all done properly 😉 ). 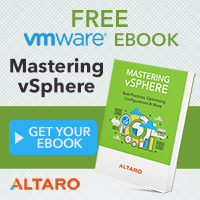 You can read details on VMware site http://www.vmware.com/products/vsphere/features/update-manager.html. 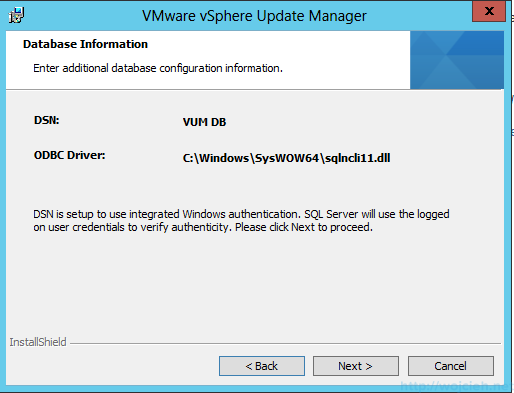 I didn’t find anything on VMware site how to prepare or create VMware Update Manager database but I will use example script for vCenter Database and just rename it. 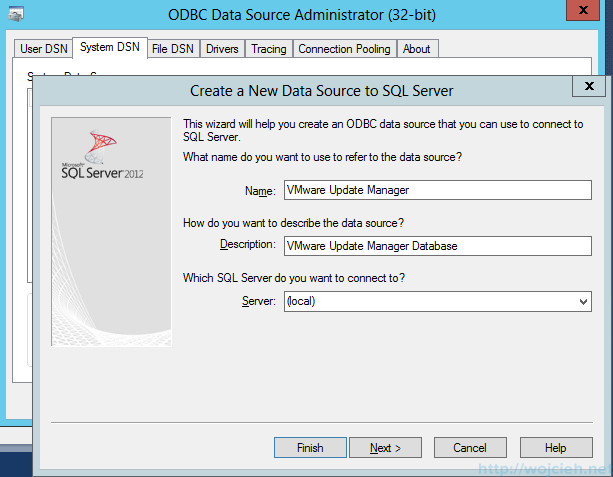 After successful Database creation, you need to add a user to db_owner to VUMDB. VMware vSphere Update Manager use 32 bit DSN ODBC connector. 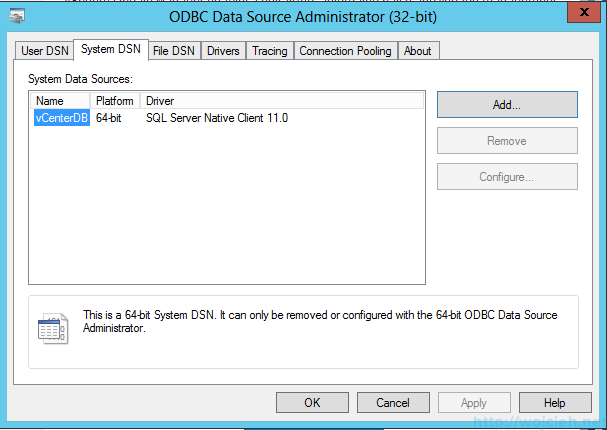 In order to configure it, you need to navigate to %windir%SysWoW64odbcad32.exe directory and create DSN. It is pretty much the same next, next, finish creator. 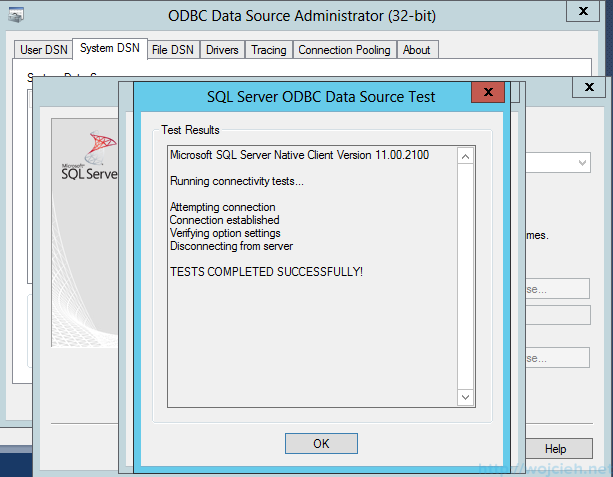 Please remember to use SQL Native Client 32-bit DSN, otherwise, it will be not detected by VUM. 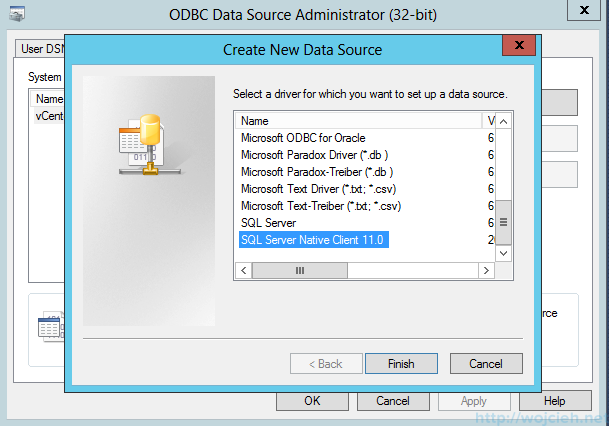 Click Add and select SQL Server Native Client and click Finish. 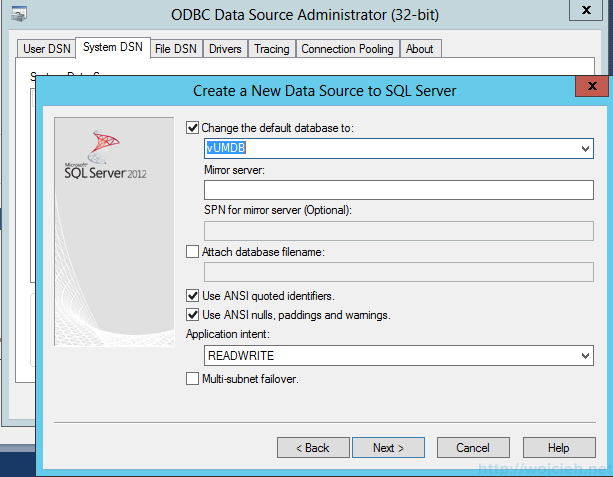 Provide Name, Description and SQL Server. 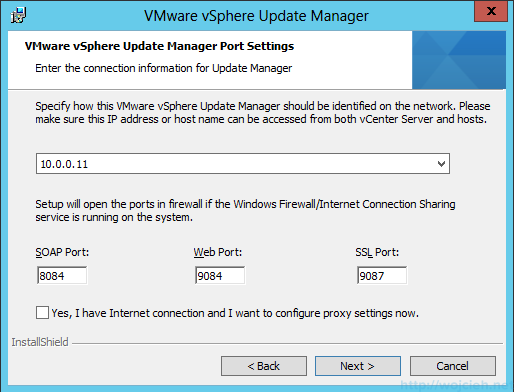 Go to the end of setup and test connectivity. 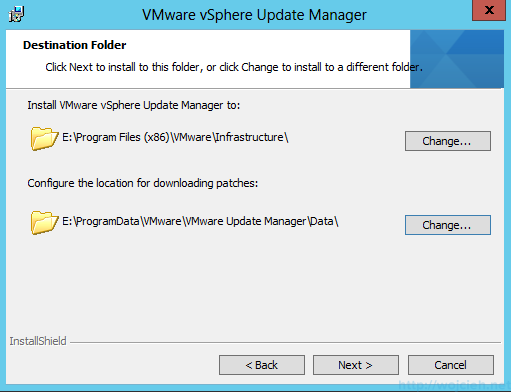 Installation is pretty straight forward. If you configured 32-bit DSN it will be painless. Let us go through it quickly so we can patch our Infrastructure. 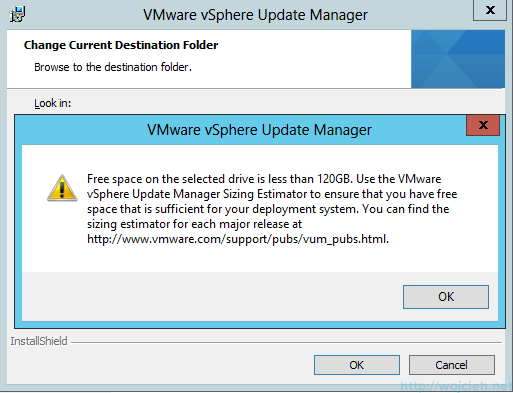 Select if you want to immediately download patches from VMware site. I deselected it because I want to do it manually later. Provide vCenter Server IP address and credentials. Select previously configured 32-bit DSN. Enter connection information in your environment. 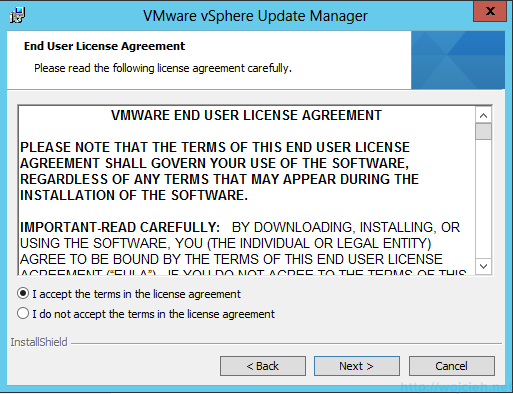 If you have less than 120GB free on disk where you will install VMware Update Manager you will receive this warning. Don’t worry – installation will be not canceled. 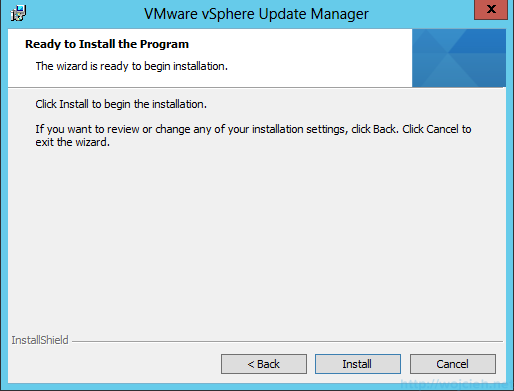 Click Install to go ahead with the installation. 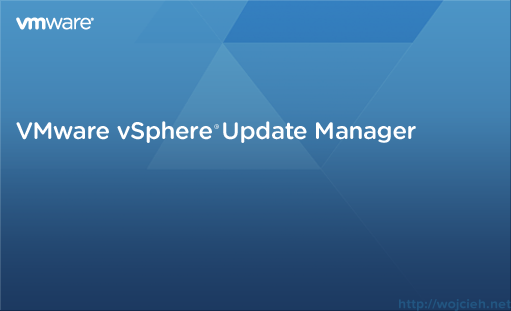 Once VUM is installed you can check via vSphere Web Client or vSphere Client if the plugin is available.As you see on the screenshot it is available. That is it. 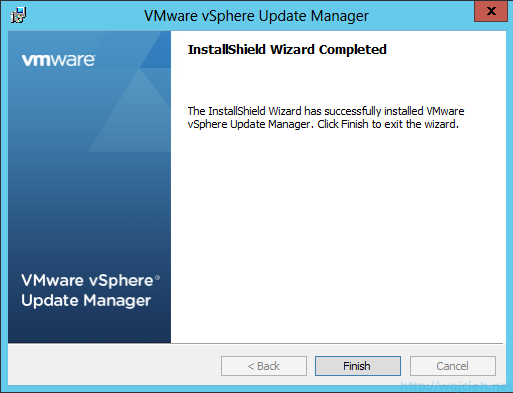 I hope your installation process was painless and it worked fine. 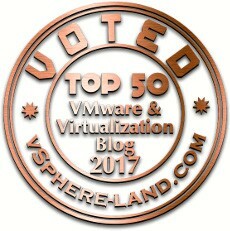 I will cover VUM usage in next posts.